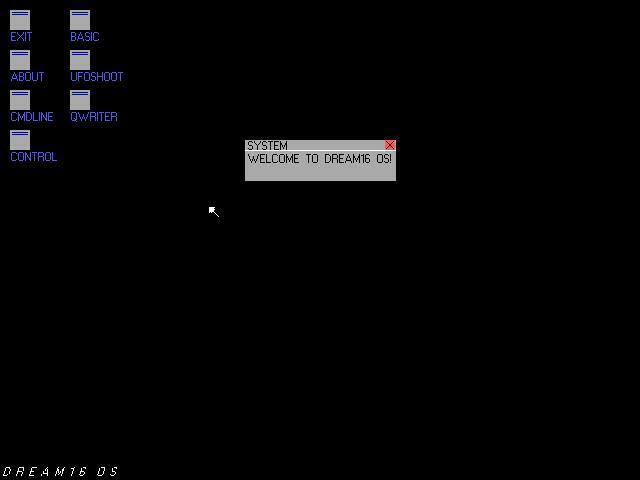 Version 3 of the DREAM16 GUI is a big improvement from the original versions. The buttons are now icons which can be dragged by right-clicking and moving them. The About program is the only window-based GUI program (windows can be dragged the same way as icons). The issue is that most of the applications are still console based which doesn't fit very well with the system. I also don't see the use of its prior scripting language ProSEED anywhere in the GUI. The applications are mainly written in TINY BASIC which has a more BASIC-like syntax.